So what will the commercial astronaut wear into space? Final Frontier Designs seeks to be the leading designer of space suits for commercial spaceflights. Companies like Virgin Galactic have already invested in the firm. One of the founders, Nikolay Moiseev, formerly worked on space suit design for Zvezda, Russia's national space suit supplier, and was a designer for the current suits worn by the Russian cosmonauts on the International Space Station. 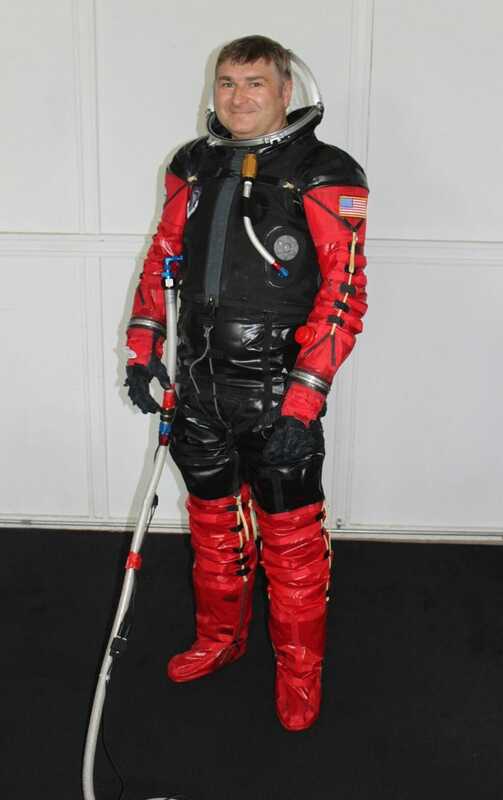 Final Frontier's 3G suit (pictured at the top) is the third version of their lightweight space suit. The thing I learned today: The Department of Defense technically considers space suits to be weapons.